From left, Gordon Ford College of Business dean Jeff Katz, Carolyn Ridley, WKU regent John Ridley, Kacy Caboni, and WKU president Timothy Caboni cut the ribbon for the opening of the Gordon Ford College of Business location in the Pushin Building on Tuesday, August 8, 2017, on the square in downtown Bowling Green. 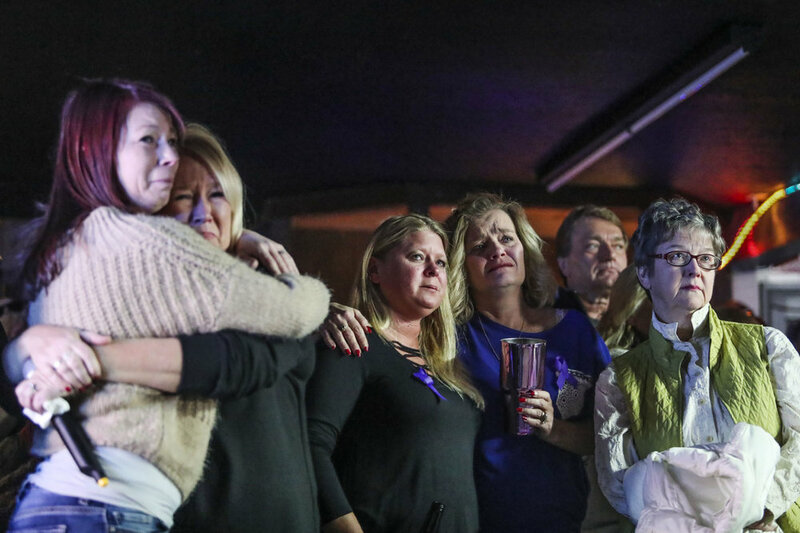 Friends and family of domestic violence homicide victim Betty Lasley watch a memorial video Sunday during a benefit held to raise money for funeral expenses at Betty’s Bar. Frank Akhmedov of Bowling Green fishes for trout in a freshly stocked stream on Wednesday, Aug. 16, 2017, at Jennings Creek in Bowling Green. Firefighters from Portland, Tenn., and Franklin, Ky., work to put out a blaze at Dixie Discounts on Nashville Road on Thursday, May 12, 2016, in Franklin, Ky.
Sharon Smith speaks on the phone next to a damaged 1963 Corvette drag racer after the garage housing her husband's collection of Corvettes and Cameros was hit by a strong storm on Wednesday, March 1, 2017, at Dennis and Sharon Smith's house on Martinsville Ford Road in Warren County, Ky. Strawberry pickers wait in line to have their boxes inspected and counted at The Parkesdale Farm in Dover, Fla., Tuesday, Feb. 12, 2013. The pickers are paid $1.50 per cardboard box, with the fastest pickers filling over 100 boxes a day. 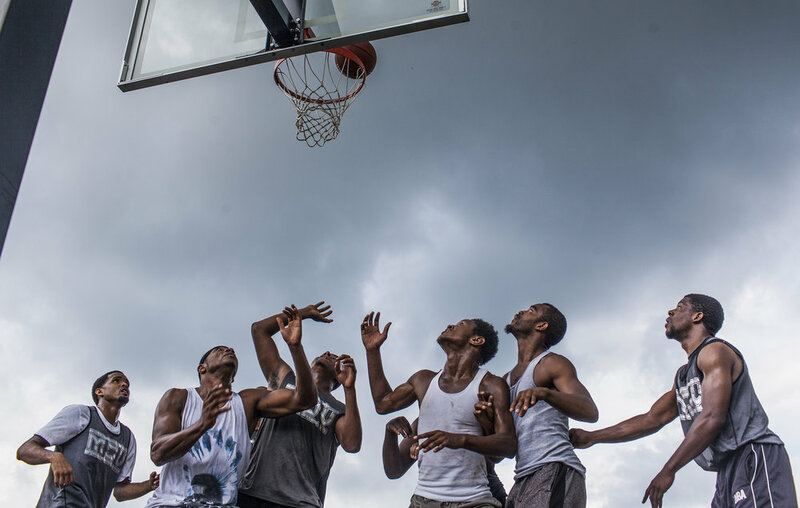 Players compete in a 5 vs. 5 dust bowl during the 30th annual Emancipation Day celebration on Saturday, Aug. 6, 2016, at Hampton Park in Russellville, Ky.
People attending a vigil for Giselle Arias, who died after being hit by a vehicle Wednesday, form a barricade to stop traffic on Gordon Avenue on Thursday, March 31, 2016, in Bowling Green. From right, Ashlynn Zinman, 2, plays with sparklers with her brother, Carson Zinman, 5, and father Anthony Zinman, all of Glasgow, Ky., during Thunderfest on Sunday, July 2, 2017, at the National Corvette Museum in Bowling Green, Ky.
People watch fireworks go off during Thunderfest 2016 on Friday, July 1, 2016, at the National Corvette Museum. Diane Johnson of Scottsville, Ky., poses for a photo on Friday, April 17, 2015, in her home. Johnson had stage four throat cancer and was told she had weeks to live, but is now cancer free and believes prayer saved her life. 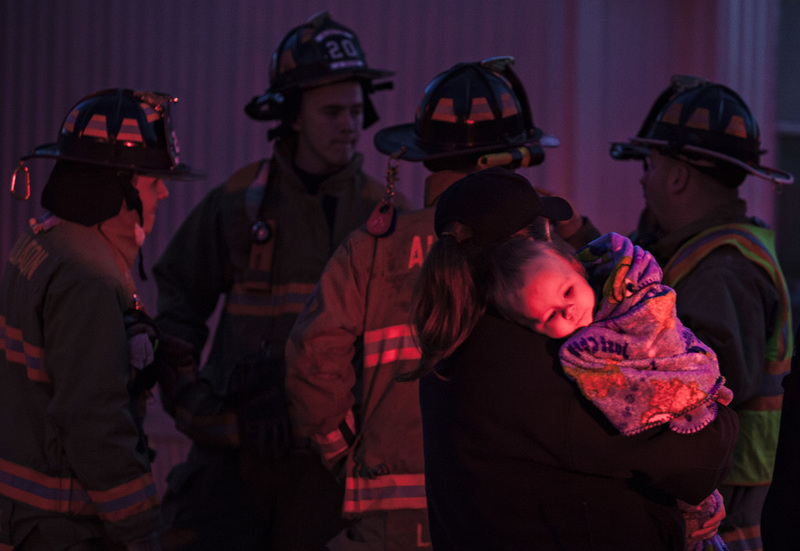 An Emergency Medical Service worker holds Alessa Riney, 1, of Bowling Green, after she and her mother Shaina Riney had a furnace catch fire in the home on Friday, Jan. 29, 2016, at Greenwood Estates Mobile Home Park. "If it weren't for the smoke detector I wouldn't have known anything was going on," said Shaina Riney. President of the board of the African American Heritage Center Alice Bailey poses for a photo on Wednesday, Feb. 24, 2016, in Franklin. 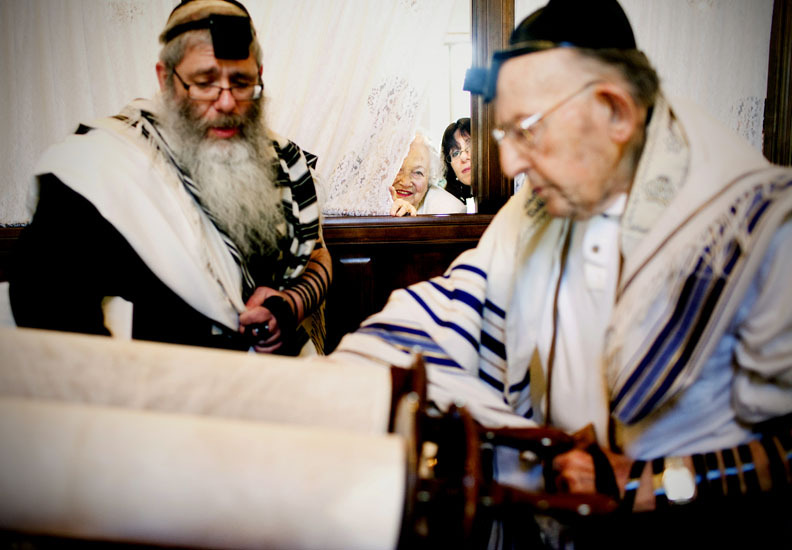 Lillian Croenwalt and Shainie Weingarten peek through a curtain dividing women and men to watch Croenwalt's husband, Lee, 90, read from the Torah with Rabbi Yisroel Wingarten (left) during his Bar Mitzvah Sunday, Dec. 25, 2011, at the Chabad House in Flint Township, Mich.
Graham Browder-Seguin, 5, of Bowling Green, pretends he is a jaguar gathering food in his cave while playing at Ogden Park in Bowling Green Monday, Sept. 10, 2012. From left, Niyahna Donan, 9, of Bowling Green Jocelyn Corleto, 8, of Bowling Green, Samaya Keys, 11, of Central City, and Nivea Robinson, 4, of Bowling Green, style their dolls' hair on Sunday, April 16, 2017, on State Street. Karuna Reddy of Bowling Green rubs Gulal, a colored powder, into a friend's hair during a Holi Festival celebration on Sunday, March 26, 2017, at Kereiakes Park in Bowling Green, Ky.
Cage the Elephant singer Matt Shultz performs on Saturday, September 8, 2018, at WKU's South Lawn. 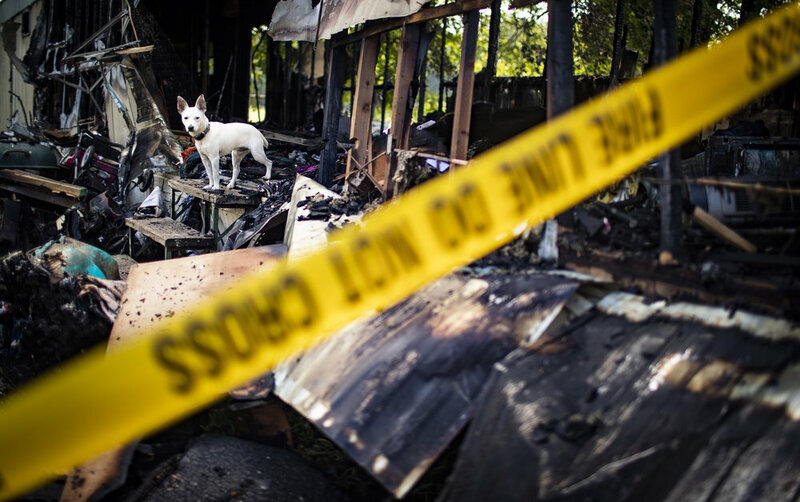 A dog stands in the former doorway of a trailer home that caught fire after being struck by lightning on Thursday, August 16, 2018, at 333 Fairview Boiling Springs Road, Unit 6. Sam McCain, left, and Kelsea Perkins, both of Bowling Green, listen as people speak before the March for Our Lives on Saturday, March 24, 2018, outside of Cherry Hall at WKU.